Circumstances can sometimes catapult someone into a situation they didn’t invite, and that requires a decision the consequences of which represent more responsibility than they may want to assume. Such may be the plight facing rookie PC MLA Robert Gauvin. But with tough decisions often come great reward. Watching how he responds to the pushing and pulling he is undoubtedly getting from all sides is just one of things that promises to make 2019 a most interesting year in New Brunswick politics. Just before the Christmas break, Gauvin, Deputy Premier and sole francophone Progressive Conservative caucus member, suggested he is going to spend his break considering whether to stay with the Higgs government. He was upset over Health Minister Ted Flemming’s ill-advised comment that the government’s ambulance policy may not necessarily change to comply with what courts may determine as law. Premier Higgs later made it clear that Flemming doesn’t speak for the government and that the government will indeed respect the rule of law. But the damage was done. Flemming’s comment had re-enforced for Gauvin the idea that many francophones had been repeatedly telling him, that the government he is part of is anti-French. Whether Flemming’s ambulance policy or his comment support that charge doesn’t matter. This is about impressions left. Given the razor-thin margin that has placed Higgs in the Premier’s chair, if Gauvin walks, it means Higgs no longer has his majority, and that could lead to an election nobody wants. I hope Gauvin stays with the PCs, not because I really care whether there is another election or not, but because if he left it would cement the linguistic divide that suggests the PC Party is strictly the party of the English, and the Liberals are the party for francophones. For our province that would be unhealthy and regressive. The province is more politically divided now than it has been since Richard Hatfield’s first election in 1970. At that time, only three of his party’s 32 seats where held by francophones. He knew it wasn’t healthy for the party or the province, and was intent on changing it. He turned to one of those francophone Tories, Jean Maurice Simard of Edmundston, who became what many called Hatfield’s French Lieutenant, charged with establishing a party presence throughout the north. Long story short, he did that, and the party became more representative of the entire province. But somewhere, somehow, between then and now, the party lost much of that French complexion it once had. So today’s party, Higgs party, has a choice to make. Or more on point, both Higgs and Gauvin have choices to make. The party needs to repeat what Hatfield did, with Gauvin shouldering the role of Simard, assuming he’s up for it. This represents much more work than simply walking away would. Both in the ground work of convincing a majority of residents of the north that the PC party has something to offer them, but also in resisting what has to be substantial pressure from more political francophones who want him to abandon the Tories for the Liberals, which they insist is more in sync with their interests. 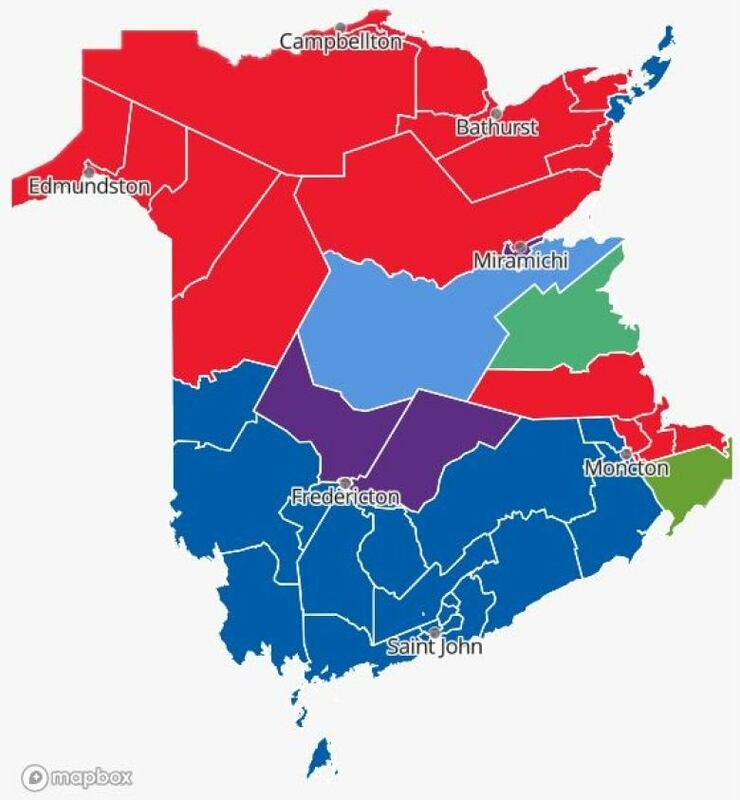 The upside to staying is that Gauvin has the opportunity and potential to build a legacy as someone who did more than pretty much anybody else to erase the linguistic divide and return the PC Party to its former position as a truly province wide party. And more pragmatically, he will have a lot of political power. Higgs should make a specific change as well. So far, his promise to do politics differently by collaborating with all other parties, seems to have only resulted in him consulting with the one party that has agreed to support him, the People’s Alliance. And People’s Alliance’s leader Kris Austin has done little so far, to back up his insistence that his party isn’t anti-French. So it is understandable that this alliance doesn’t help Gauvin when he’s debating with his francophone friends. The optics doesn’t quite work to his advantage. So several moving parts here, with a lot at stake. Interesting times for politics in New Brunswick. Thanks for reading. And a reminder - shares are always appreciated. Also a reminder that if you find my blogs of value, you can subscribe to them below.